This is 4 half-day Suttas class started from 10th March, if you haven’t been to first class, you are still welcome to join the next class on 14th April. The suttas are the teachings of the Buddha, in his own words, passed down over 2500 years in he Buddhist traditions. If you’d like to learn what the Buddha taught, these ancient scriptures are our only historical record. This course avoids some of the more obvious approaches to the suttas, instead focusing on some more enigmatic and obscure corners of the canon. It will be led by Bhante Sujato, a respected teacher and scholar of early Buddhism. The course consists of four half-day workshops over four months. 14th April: SN 12.15: With Kaccanagotta: a deep dive into one of the most famous and difficult philosophical discourses. 12th May: MN 23: The Ant-hill: a curious parable consisting of a series of enigmatic metaphors. 9th June: DN 21: The Questions of Sakka: some great Dhamma, and a Pali love song! Bhante Sujato is an Australian Theravanda Buddhist monk ordained in a monastery in Chieng Mai in Thailand during the 1990s. He played in a successful rock band called Martha’s Vineyard for many years before he joined an intensive Buddhist retreat in Thailand which introduced him to the Buddha’s teachings. Bhante Sujato has taught the Dhamma and meditation to a varied audience in Australia and internationally such as Malaysia, Singapore, Indonesia, The USA, Germany, Norway, India, Hongkong, Taiwan, Sri Lanka and many others, and has spoken at several major international Buddhist conferences and events. He also helped to establish the Santi Forest Monastery in Bundanoon, where he was the abbot for many years. Bhante Sujato has become well known for his articulate support for the fully ordained Bhikkhuni lineage. A special field of interest is the role of women in Buddhism and particularly the revival of the Bhikkhuni order within the Theravada tradition. As well as being a meditator and teacher, Bhante Sujato is a scholar of early Buddhism, with several books and essays of original and often groundbreaking research. 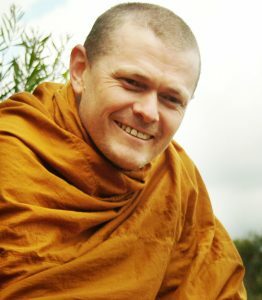 He contributes to Buddhism in Australia through a wide variety of forums and organisations, including the Australian Sangha Association, Federation of Australian Buddhist Councils, Australia Partnership of Religious Organisations, Australian Association of Buddhist Councillors and Psychotherapists, Australian Association of Buddhist Studies, and Australian Religious Response to Climate Change. Bhante Sujato is also the founder of SuttaCentral.net.